Book Stacks is a community within the virtual reality game Second Life (SL). As you can guess, it is a place for bookish people to meet other bookish people and get together and do bookish things. Originally founded by Simeon Beresford in the spring of 2007, Kghia Gherardi was recruited shortly thereafter to help with events. Bookstacks has 600+ members. Bookstacks is a collaborative effort. Let us know if we can help you. Bookstacks hosts reading group discussions, including a Cozy Mysteries group. Poetry Libre, lead by Leonardo Zimring and Serene Bechir, also holds its weekly open mic poetry event at the Bookstacks Pub. And because there is more to a virtual life than book discussions, we also host a party on my Friday nights from 7-9pm, featuring DJ Walton Vieria. In late 2008, Bookstacks partnered with The Guild of UK Writers to better offer events to both the readers and writers of Second Life. Co-sponsored events include the Victorian Steampunk-themed skating party and a Horror Fest. 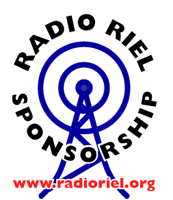 In March 2009, Kghia and Simeon began a new project with Radio Riel. Off the Shelf is a fortnightly podcast featuring authors, poets, publishers, librarians, and others associated with making texts available to a reading public. The podcasts are recorded live in the Off the Shelf set above Bookstacks Isle on Sundays at 1 p.m. People are welcome to attend the recording and ask questions of the guests.